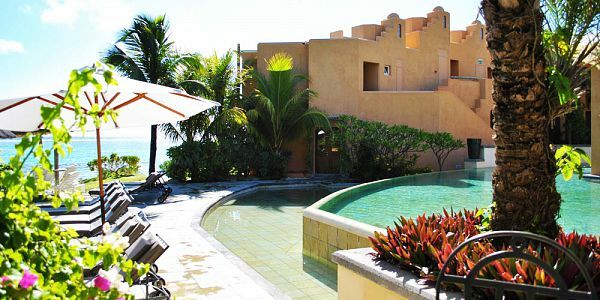 Surrender to the magic of a luxurious, charming and intimate retreat with the Palmeraie Boutique Hotel, which lies along the gorgeous Palmar beach. 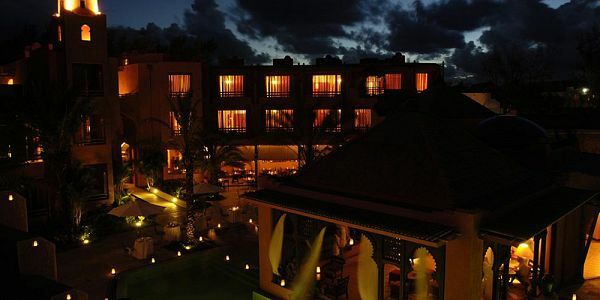 The boutique hotel is about experiencing beauty at its perfection; behind its majestic doors you will discover a combination of authentic North African, Spanish and the alluring "Moorish" architecture which make for an intimate stay. 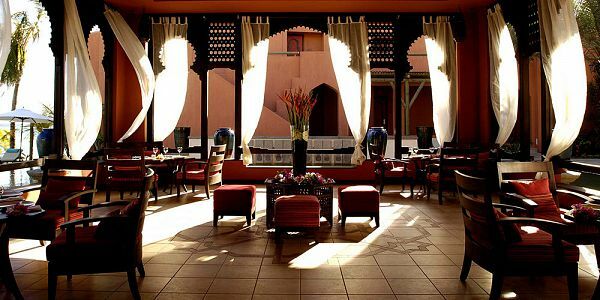 The hotel depicts aspects of a traditional Moroccan Riad, featuring 3 restaurants and a bar. 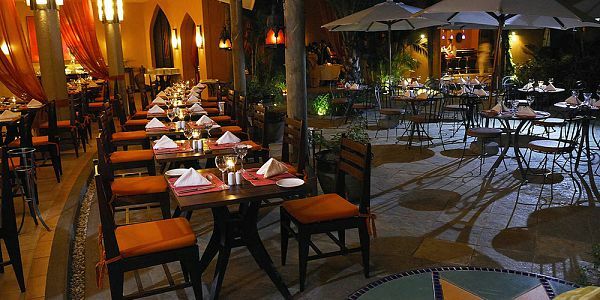 La Varangue restaurant is situated around the swimming pool and serves Mauritian cuisine whereas the Cotomili restaurant serves Mediterranean, French and Oriental traditional cuisine. At the heart of a patio, between the land and the sea, the setting is as simple as it is beautiful. Le Flamboyant is the bar where you will enjoy meeting friends for a few tasty snacks as evening falls, or savouring a delicious cocktail under the gentle breeze that drifts in from the lagoon. Breakfast and light lunches can be enjoyed at the Deck! 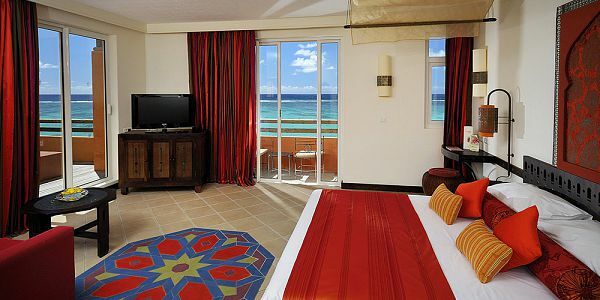 Stay at the hotel accommodation offering you the best comfort featuring the very comfy Superior, Deluxe Beachfront room, or the junior suite. A glimpse of the jade and turquoise waters of the lagoon through fine voile curtains with arm, sun-drenched colours, reveals the beauty and purity of natural materials. Some of the room amenities feature LCD Flat screen with satellite channels, DVD (a wide selection of films available at the reception free of charge), Mini-bar, bathroom amenities, free wifi, and many more! 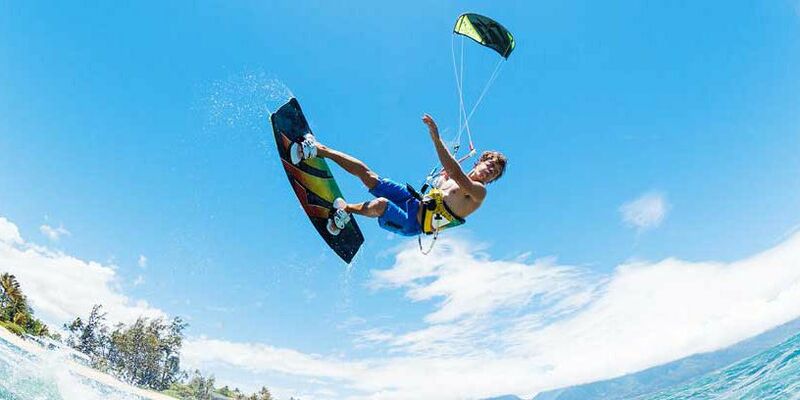 Guests can enjoy a journey in the glass bottom boat, or choose kayaking , water skiing and other interesting recreational activities. You are also provided with a year-round outdoor pool and terrace, including the free private parking which is available on site. 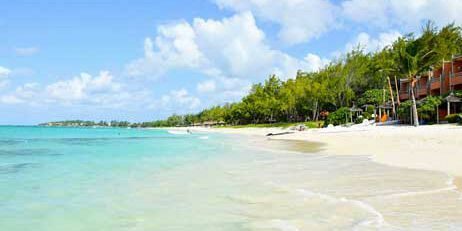 La Palmeraie Boutique Hotel is ideally located in Palmar on the east coast of Mauritius. 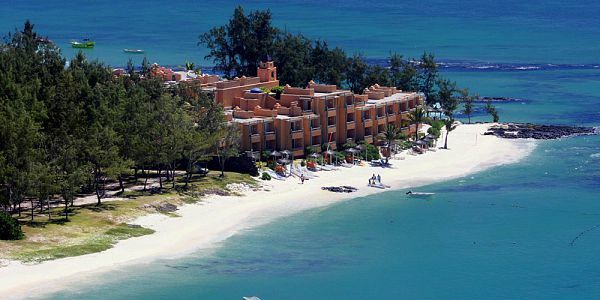 The 4-star hotel is less than an hour drive from the airport and Port-Louis, the capital city of Mauritius. 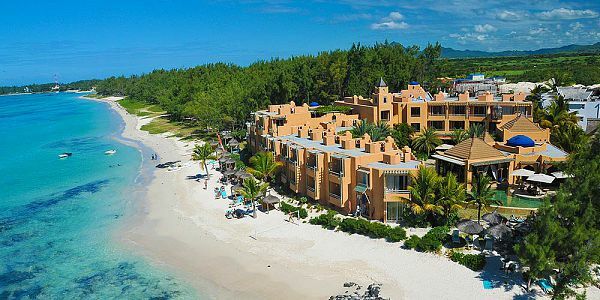 All the rooms at La Palmeraie are fully equipped to provide modern comforts, with private bathrooms and balconies, offering a cool, fresh comfort. 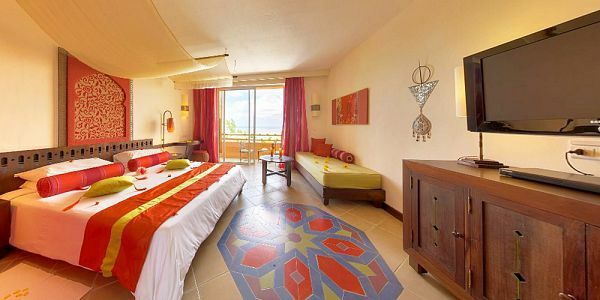 Each room combines the unique style of Morocco with romantic ivory canopies, geometrical designs and intricately designed furniture to create the perfect retreat. 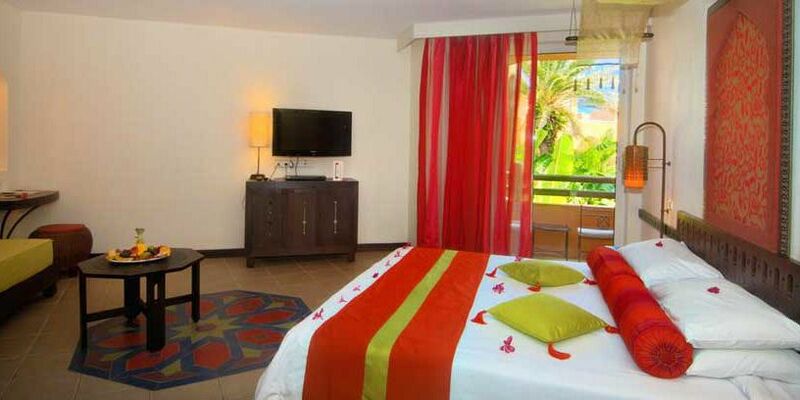 Overlooking the pool as it shimmers in the sunshine or the magnificent gardens where palm trees, hibiscus and birds of paradise outdo each other in splendour, the superior rooms offer a perfect experience of farniente! These deluxe rooms offer a grandiose panorama where sea and sky come together to create a never-ending succession of new tableaux. 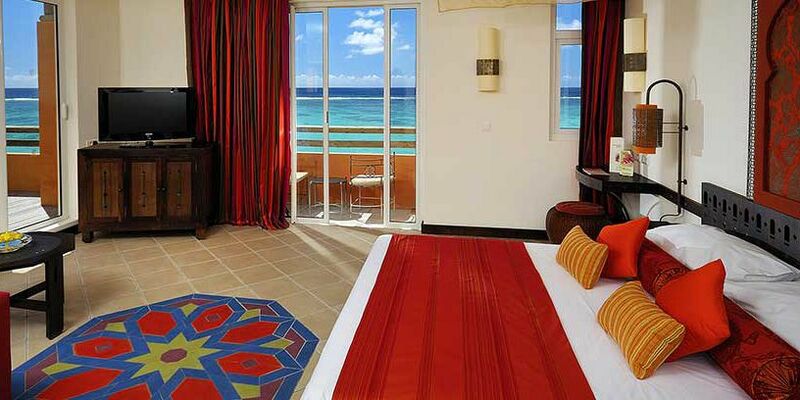 Eternal but changing with each instant, enjoy the spectacle offered by the lagoon. 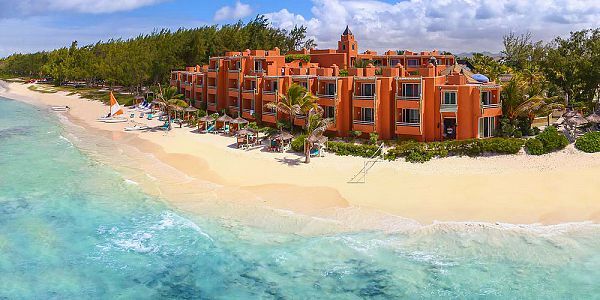 Dedicated to honeymooners or those seeking a private solarium, all three of the Junior Suites are a perfect setting for a magical holiday where the beauty of your surroundings is only surpassed by the joy of the present moment. 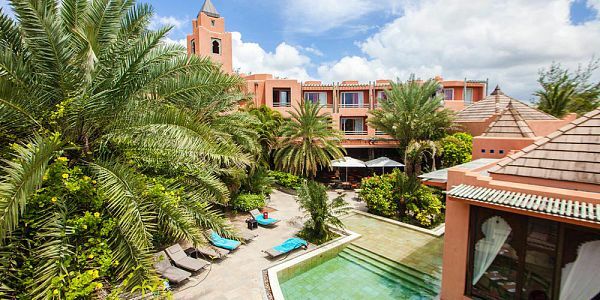 Nested in the heart of the hotel, Le Mogador Spa is a haven of peace, relaxation and well being. Four unique treatment rooms are dedicated to your treatment and to exceeding your expectations. Natural products such as Black soap, Rassoul, Berber Cereals, argan oil are used for traditional virtues and some modern, authentic treatments include honey massages, sweet and sour body scrub, milk bath with essential oils and hot stone therapy. There is a vast selection of treatments awaiting your discovery. Rest assured with the hotel’s dynamic and qualified personnel, your kids are sure to have fun and creative moments! "La Boutik" - the boutique proposes a blend of souvenirs, handicrafts, clothing, accessories, postcards, decorative objects, spices, and shells. 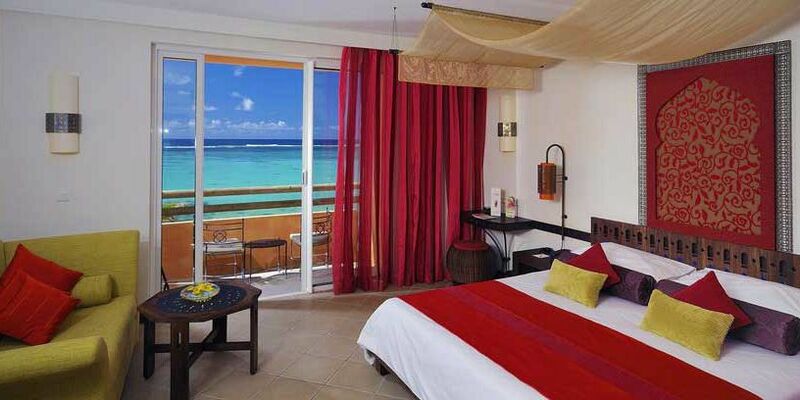 La Varangue invites you to enjoy moments of deliciously Mauritian gourmandise. 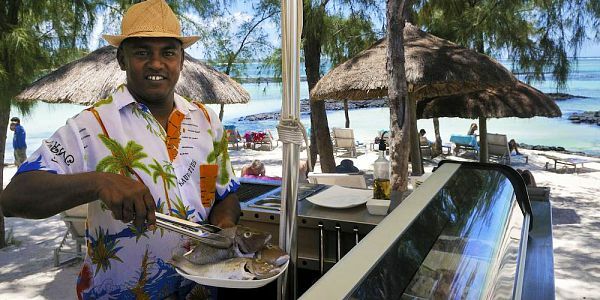 The themed buffet will allow you to discover many different tastes of Mauritius, from Creole specialities to Asian influenced dishes such as sweet and sour, all combined with a touch of Indian spice. A real and exciting cultural fusion. As night falls, the intimate magic of the gastronomic restaurant Cotomili comes into its own. 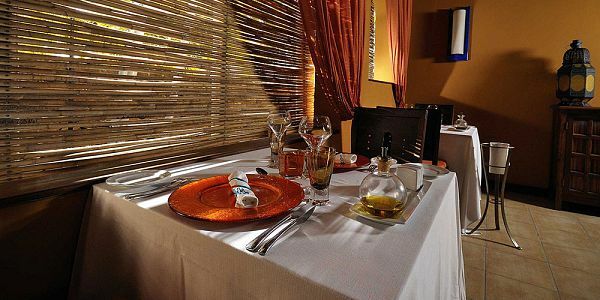 In a décor of warm rich colours, subdued light and beautiful wall hangings, enjoy a cuisine full of colour and savours that brings together oriental, Mediterranean and French traditions, enhanced by the friendliness of our perfect Mauritian service. 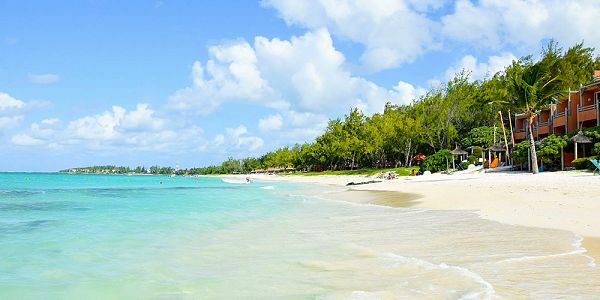 Le Flamboyant is the bar where you will enjoy meeting friends for a few tasty snacks as evening falls, or savouring a delicious cocktail under the gentle breeze that drifts in from the lagoon. At the water's edge, between the parasols and the filaos you will find some pretty little tables on a wooden deck. 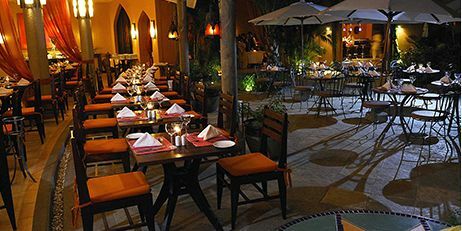 The Deck offers simple and authentic dishes - a "light" menu of grills and salads which rival each other in colour and taste.